Gaida and her all-star band will present soulful upbeat songs combining the depth of emotions and joy found in Arabic music. 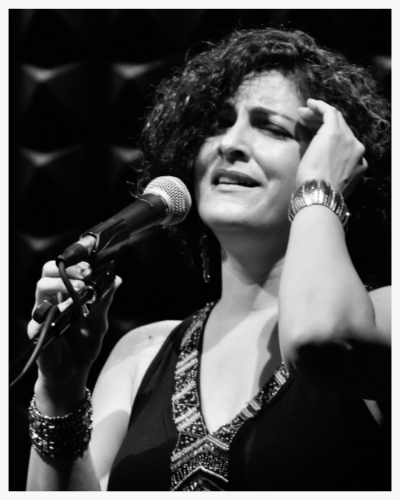 Appearing with her core group of world class musicians, Zafer Tawil - Oud & percussions, Jennifer Vincent - Bass, and George Dulin - Piano, will be Saxophone virtuoso, Yuri Yunakov, intoxicating Percussionist, Will Soliman and the rapturous Egyptian-style dancer, Sherine Khatoun. Vocalist and songwriter, Gaida, is celebrated for her impeccable musical intuition and velvety yet crystalline voice. The wide range of musical styles heard within her music flow together organically and naturally transcending genre and drives directly into the listener's heart. Gaida and her band have been featured in major films, including Jonathan Demme’s 2008 drama, “Rachel Getting Married.” They have recorded with Robyn Hitchcock, Gillian Welch and Alejandro Escovedo on the sound track for Jimmy Carter: Man from the Plains, a 2007 American documentary film written and directed by Jonathan Demme and have performed in prestigious national venues like the Kennedy Center, Carnegie Hall, and many world music festivals. Most recently, Gaida performed at the Givenchy show during New York Fashion Week, and recorded for Anne Hathaway’s play, "Grounded." Gaida composed and supervised the music for the documentary, A Thousand and One Journeys: The Arab Americans.